Over the last several years, a wave of interest in future-proof, gigabit-capable fiber networks has overtaken local, regional and state leaders. 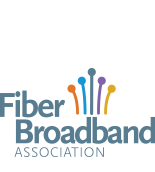 And to meet this demand, broadband providers, consultants, public interest groups and nonprofits like the Fiber Broadband Association have been privileged to share what we know with these communities and leaders. In particular, this section will give resources to policymakers at all levels to help attract fiber companies to build private local networks. Learn more about making your community fiber ready. Check out the resources to the left.